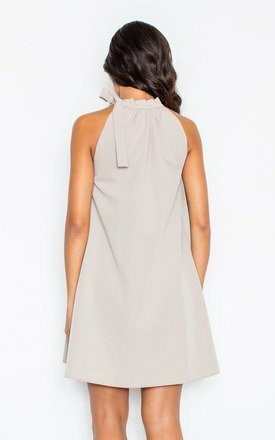 Feminine dress with A-shape. It has bare shoulders and mandarin cleavage collar tied at the side in a bow. Elegant and loose-fitting, perfect for every figure. Great for wedding.